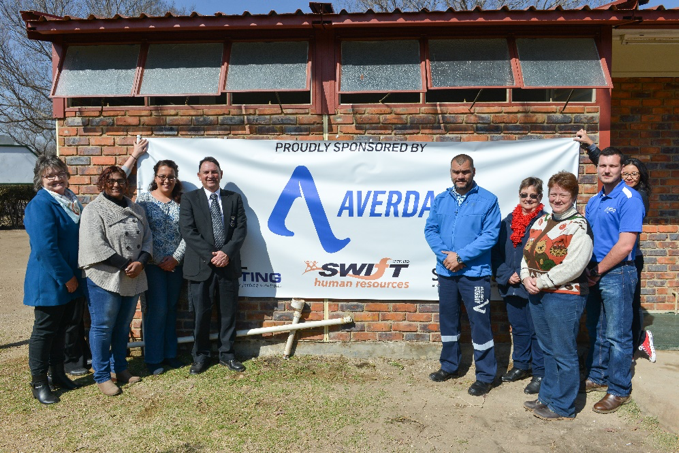 Averda South Africa has collaborated with local businesses, Total Blasting, Swift Human Resources and Staff U Need, in Evander Mpumalanga to complete an asbestos removal project at Laerskool Hoëveld. Evander, a town founded for gold miners in 1955, is situated 8km north west of Secunda. An important number of buildings in the area contain asbestos which has been related to lung diseases occurring when the asbestos fibers in the material become exposed, as a result of aging infrastructure, and are inhaled. “It was such a wonderful surprise for the children when they returned to school. They were buzzing with excitement about the upgraded facilities,” says Heese. With a vision to create a cleaner world and better lives for all, Averda, which has operations in Evander, identified the project which is in line with its core business of commercial, industrial, residential, and hazardous waste management. “Averda believes in playing an active role in creating solutions for South Africa’s waste management and environmental challenges through projects that have a meaningful impact on the health and environmental sustainability of the communities in which we work,” says Lourens De Beer, General Manager of Averda Secunda. “We hope that this initiative, made possible only through partnering with local businesses, encourages more business owners to get involved in similar projects, so that we get to a point where asbestos sheets are completely eradicated from buildings in the community. Let’s get rid of the asbestos, we can do it together! “The added benefits as a result of initiatives such as this will not only promote environmental sustainability and a healthier environment for the community but will boost education and job creation opportunities,” concludes de Beer.